This project is a part of a greater body of work called Inner Space about sexual violence and resilience. There is a period called 'grooming' that often happens before children are sexually abused, this book represents a gift during that process. A set of love poems by Kahlil Gibran that was a wedding gift to my abuser and his wife was re-gifted to me during my grooming process. 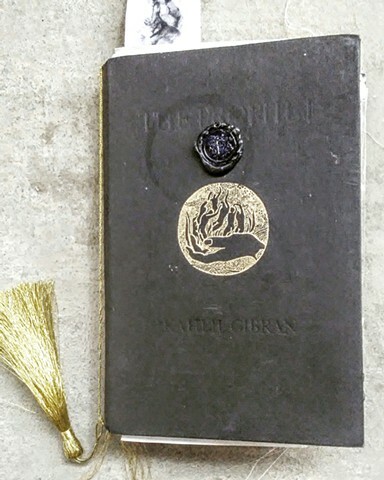 I redacted this entire Gibran book, illustrations included, to reveal my experience of the grooming, assault, shame, the aftermath of being silenced and then reasserting my agency and creating my own brand of resilience.